Endorphins are the happy hormones that will keep your mood light and keep your pain in check. Exercise helps increase endorphin release. It diminishes the cramps and gives you a major mood boost. But don’t exert yourself – go for light exercises like biking or yoga. Dark chocolate is everyone’s favorite but when you are going through your periods, it can be a life-saver. A small amount of dark chocolate encourages endorphin release and can help in relieving pain. But don’t take too much of it since the high sugar content in them can make the symptoms worse. 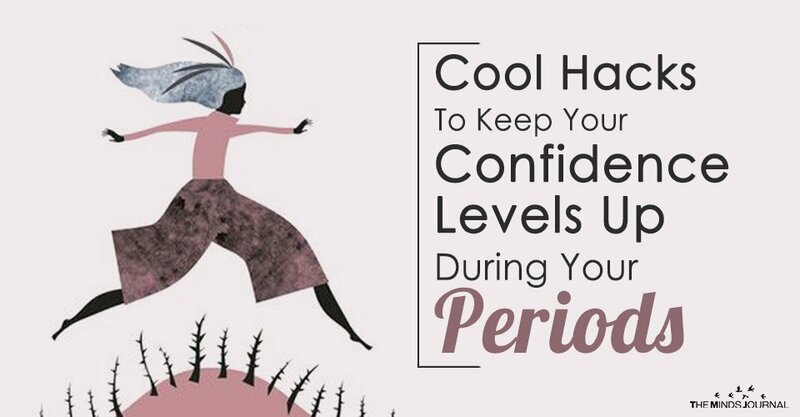 Keep yourself confident and beautiful during your periods. Engage in some self-care routines. Go for a pedicure or a manicure. If you want, you can also go for a massage. This will help to lower your stiffness and also help with the cramps. Massages also promote the release of endorphins. Go watch some comedy movie or buddy-watch a funny movie. Laugh out loud. The more you laugh, the more confident you become. Plus, the happy hormones start flowing through your body in full rage and keep your mood up. Dancing is one of the best exercises that you could do during your periods. Just start dancing to any tune and see how your body starts reacting positively. Dancing releases a lot of endorphins and makes your mood get better in an instant. Just hit any nightclub with your friends. If you feel like you don’t really want to get up and dress up for a nightclub, then have a party in your own house. Dance alone if you have too. While mood swings are normal during periods, it should not be devastating. If you see that your mood swings are actually destructive and are affecting your school and relationships, then maybe, it is time for you to go for a doctor. Such a problem might be related to premenstrual dysphoric disorder. PMDD is almost the same as PMS but it is worse as negative effects like hopelessness and sadness, along with irritability take over you. If it is really getting serious, a doctor might help you get out of it. 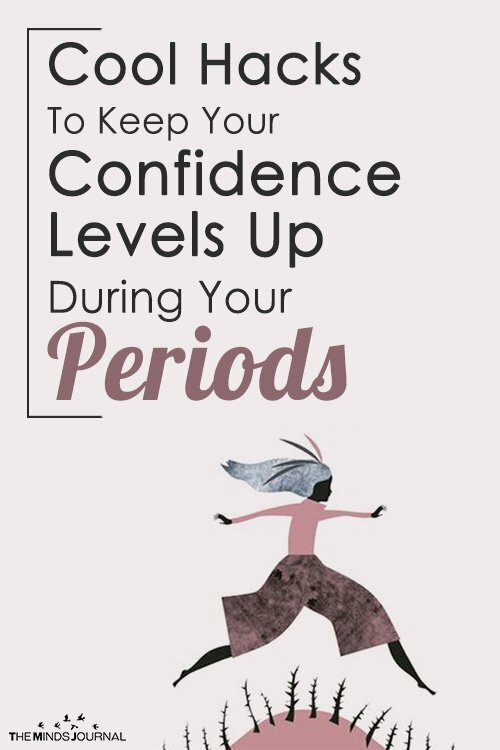 Periods may be terrible, but we have the power to deal with it confidently. Just keep these hacks in mind and keep your mood high and happy. Then, your periods will come and go without bringing any marked changes in your lifestyle.